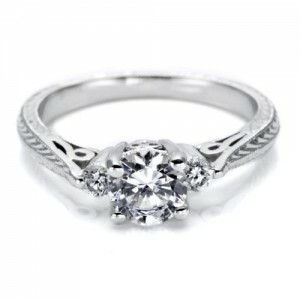 Tacori HT2207 Hand Engraved Engagement Ring Display a little romance with this exceptional diamond engagement ring. 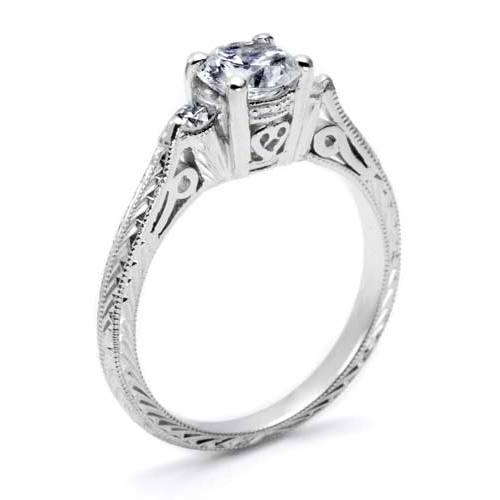 Hand-engraving and delicate, infinity and heart filigree details give this ring a vintage, Victorian feel while tapered shoulders keep it classic. Metal choice may be selected in "drop down" box at "Add to Cart" area. 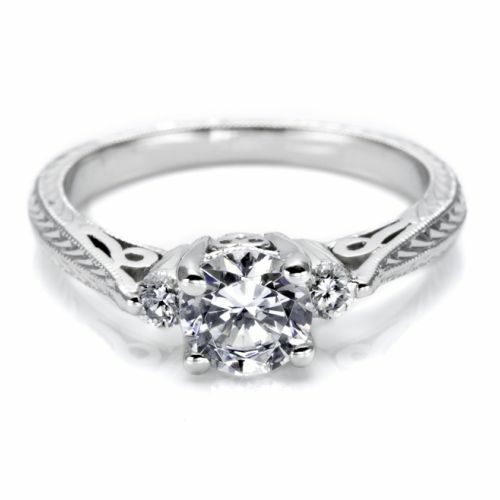 Tacori HT2207 18 Karat Hand Engraved Engagement Ring ...Let our Passion be the Ultimate Expression of YOUR Passion...Heirloom elegance with a Modern Touch...Tacori style!